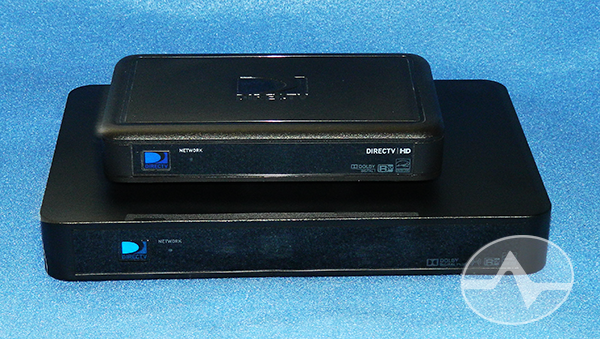 Is there a difference between the DIRECTV C61 and DIRECTV C61K? The receiver at the bottom is a DIRECTV C61K 4K Genie Mini Client. The one at the top is actually a DIRECTV C41 Genie Mini Client. The top one won’t output 4K, while the bottom one will. That seems simple, right? However, we’ve started seeing a new Genie Mini Client in the wild. Official pictures are still not available, but it looks like the C41 client (the smaller one) and acts exactly the same. The big difference is that it no longer has the old DIRECTV logo as the power button. Instead there’s a more generic power button and a silk-screened DIRECTV logo with the new “globe” logo. Its model designation: C61. So yeah, that’s not confusing at all. The C61 is the HD product, and the C61K is the 4K product. They don’t look anything like each other, but the numbers are similar. Because the C61 is functionally identical to all the other Genie Mini clients, you can purchase it here as it becomes available. There is absolutely no difference between it and the other Genie Mini clients except the logo. If you want a 4K client and don’t have a 4K TV yet, you can get the C61K but do be aware that it will give you a naggy message from time to time that you’re not using a 4K TV. If you can ignore that, the C61K does work with older Genie DVRs. Why don’t some old TV shows fill the screen?